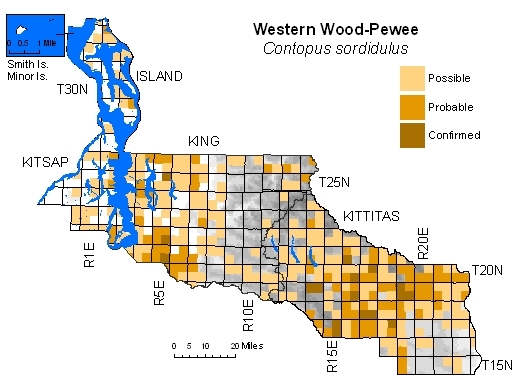 Widespread and fairly common in forested zones at low and middle elevations west of Cascade crest. 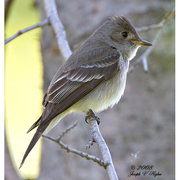 On Eastside, fairly common to common in similar mid-elevation habitats. More likely to be found in riparian woodlands and somewhat drier, more open conifer forest.